Barnaul is the industrial heart of Altai Territory, an important region near Russia’s border with Kazakhstan. Altai’s mountain plants are quite famous all over Russia and many of them are shipped off from here. Visitors should start at Demidovskaya Square, which is the very heart of the city and has the feel of a mini-St. Petersburg, which is apt because both city’s architects have quite a bit in common. 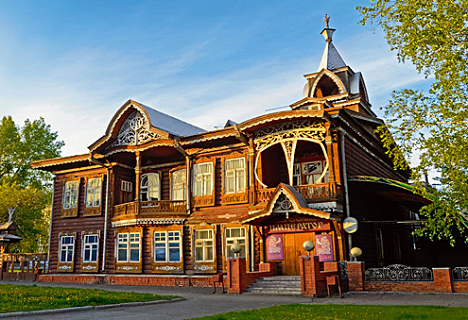 Barnaul’s original architects were students and followers of Giacomo Quarenghi (who designed the Aleksandrovsky Palace of Tsarskoe Selo in Pushkin) and Carlo Rossi (architect of the Mikhailovsky Palace in St. Petersburg). This square is a historical architectural complex that was built between 1829-1852 and was accomplished in accordance with the traditions of Russian classicism. On the square is a miners’ hospital, a mining school and a hospice with the old church of St. Dmitry Rostovsky, while well-preserved old merchants’ houses (which marked the edge of the city until the Revolution in 1917) and architectural monuments of the 20th century are located nearby. Check out the beautiful Nikolskaya Church (ul. Lenina 36), an eclectic mixture of elements taken from Russian and Byzantine styles, and the “House Under the Spire” (ul. Lenina 82), an excellent example of Stalinist-era classicism.